Severe spinal stenosis describes a condition in which there is a distinct possibility or definitive proof that the canal narrowing has already begun to affect the integrity of the spinal cord or cauda equina structures. Severe stenosis goes far beyond a minor mass effect or infringement on the thecal sac. True total spinal stenosis describes a 360 degree compression of the central nerve structures, enacted by one or more structural sources. Extreme stenosis goes one step further, detailing canal narrowing conditions which are certainly symptomatic and have already caused such dire effects as falling, the inability to stand or incontinence. This crucial essay tackles the difficult subject of debilitating versions of spinal stenosis and how they should be managed medically. Many people suffer mild to moderate stenosis from various reasons. A great number may have been born with congenitally narrowed spinal canals which got progressively tighter as they got older. Others have the usual contributors to stenosis, including bulging discs, arthritis and minor spinal curvatures. It is expected that almost all older adults will endure some degree of stenosis as they age, particularly in the mid to lower cervical region and the lower lumbar and lumbosacral regions. Severe stenosis can strike at any age, due to injury, but is more common in the elderly, due to advanced degenerative changes inside the spinal canal. Decades of arthritic buildup and osteophyte formation is usual to suffer in old age. Of course, the universality of degenerative disc disease and near universality of herniated discs make stenosis an expected part of getting older. However, when these anatomical changes are noteworthy, the degree of stenosis may be judged as severe, or even extreme, requiring monitoring at the very least, and most likely, active treatment. Treatment for spinal stenosis which is severe almost always revolves around the use of specialized operations to increase the size of the spinal canal and free up compression of affected nerve structures. This is risky business, since back surgery generally offers terribly poor long-term curative statistics, due to misdiagnosis of the causative condition, complications and simple surgeon error, often referred to as iatrogenesis. Although surgery may be indicated or even truly needed, I always caution patients to do their due diligence when it comes to researching both their procedural options and their surgeon. 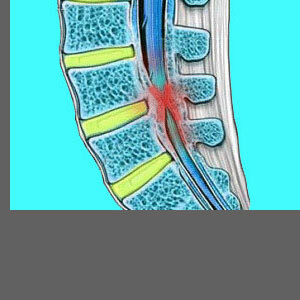 This will help to minimize the risk of suffering failed spinal stenosis surgery. Some cases of severe stenosis are still treated conservatively for one reason or another. In some scenarios, surgery can not be performed due to health issues, or other concern, while some patients do respond well to noninvasive care practices. Regardless of the path you choose when it comes to stenosis treatment for severe narrowing conditions, be sure to take an active role in the decision making process and understand the pros and cons of your therapy choice. Do not sit back idly and allow doctors to make up your mind for you. After all, if treatment fails, you will have no one to blame but yourself; particularly if a bit of research might have guided you to a better therapy choice or a more enlightened surgical option. If you are suffering from a severe stenosis condition in the neck or lower back, my heart truly goes out to you. Of all the diagnoses in the dorsalgia industry, these are some of the hardest to deal with, especially without undergoing the potential hazards of surgery.